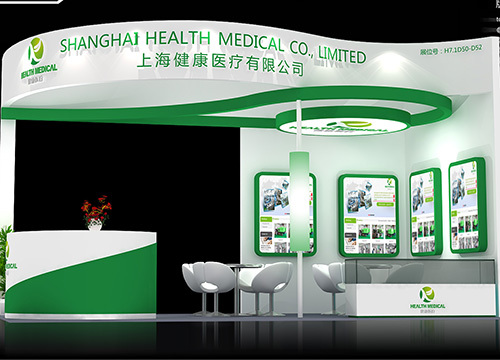 Shanghai Health Medical Limited was founded in 2013, professionally manufacture and specialize in the research, development, production, sale and service of disposable medical products-Infusion Sets, Blood Transfusion Sets, Hypodermic Syringes, Insulin syringes, Needle Free Connectors,Heparin Cap (injection luer site),Three-way Stopcocks (with Extension Tubes), I.V. Flow Regulators ( Sets), Infusion Plastic components (Male luer lock caps, Protective Caps)，Combi Stoppers, M/F Extension sets, one way stopcock etc and other plastic accessories for IV therapy. With the increasing of business transaction and Clients' demands towards efficiency,we build a plant which cover a total 2000 square meters , with 10 thousand medial grade purification workshop of 1000 square meters in 2015. EFFICIENCY--Our Sales Volume of production capacity can reach 20,000,000 US dollars per year. PRICE-- We have self-developed team to save the cost of mould. Hence we could provide favorable and competitive price. CUSTOMERS--We have exported to Southeast Asia (Malaysia, Thailand, India, Pakistan), the Middle East ( Saudi Arab, Jordan, United Arab Emirates), Europe (France, Italy), South America （Brasil, Venezuela）and other countries. and it involves usage place: Public Hospitals,Government Hospitals, Nursing homes and Private and Government Clinics. Clients Groups:Trading company home or aboard, Importer and Agent Dealers, Wholesales, Distributors. OEM--customized LOGO printing available, warmly welcome! MISSION-- offer a full range of products proper for infusion therapy, protecting the infusion and injection safety of for paramedics and patients, reducing human suffering, Keep a security and healthy life. Looking to the future according to market requirements in medical industry,we are keeping striving to be one of larger Worldwide Leader in line with belief of seek new innovation of concept , technology and System, and contribute to human health. Sincerely hope get your support, our trust would let us work together better and get a long-term business relations. Welcome!